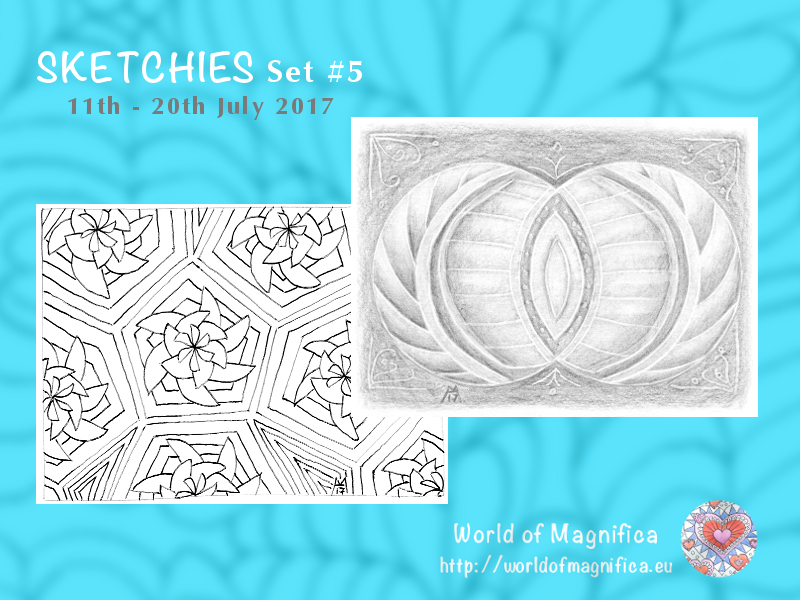 Right away, you get the current Set #5 as JPG image files, suitable for printing and digital colouring. Like with photos, you can adjust the brightness of the greyscale sketchies according to your taste, which would not be easy to do if they were PDF format. Then as soon as the following 2 sets are published (publishing dates are the 1st, 11th and 21st of each month) you'll receive an email with the download link and a coupon code that makes them "free" for you. Altogether you get 6 Sketchies with this one-month subscription. PS: I'd love to see what you do with these designs! If you are on facebook, you're very welcome to guest-post on the World of Magnifica page https://www.facebook.com/worldofmagnifica/ so I can share your work as an inspiration for others!